Stomach acid is designed to break down proteins, both for digestion and to prevent harmful bacteria from entering our bodies. It is pretty harsh stuff, and certainly does kill a lot of bacteria both friendly and harmful. 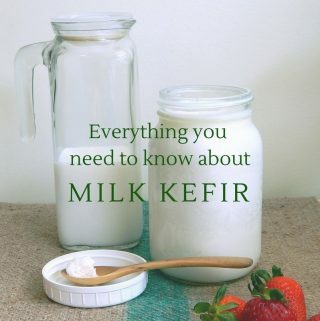 Some probiotics definitely make it through our digestive system alive. A number of studies have looked at the survival rates of various strains of bacteria, and found that certain strains definitely survive stomach acid. From my quick look at the research, L.gasseri, L. acidophilus and B. bifidum all survive, especially in a dairy culture. There’s a lot of health benefits associated with eating probiotic foods, suggesting that it must be effective at changing the microbiome of our digestive system. 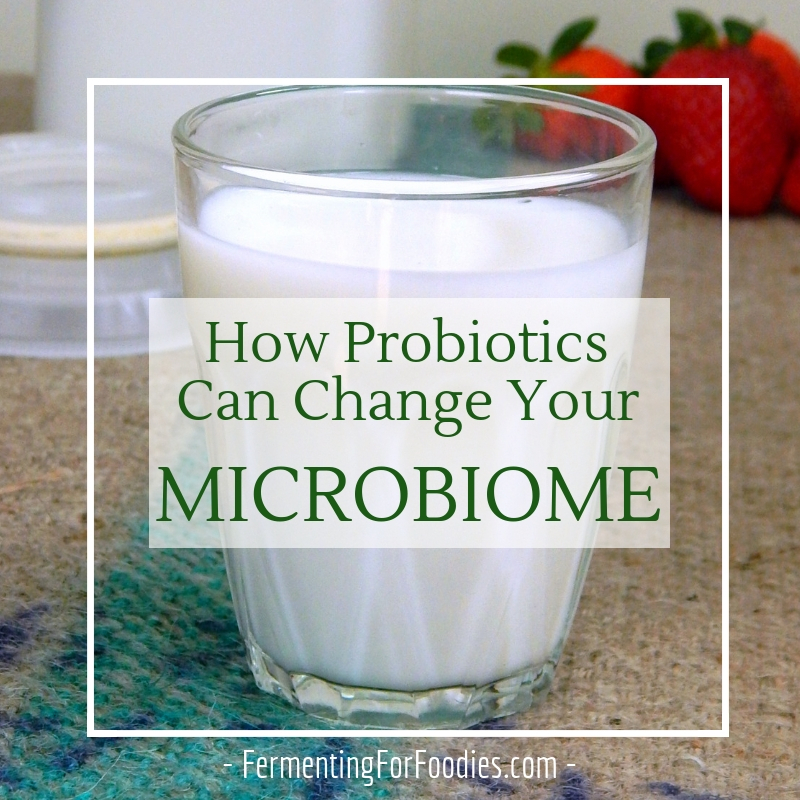 If you’ve ever had a strong reaction to a new probiotic food, then you are probably well aware of the fact the probiotics do make it through our digestive system. A microbiome is all of the microorganisms (yeasts, bacteria, fungus) that live on our body. Our body is a micro (tiny) biome (home). And it isn’t just in our digestive system. Our microbiome is on our skin and in our lungs. In fact there are more microorganisms in our body then human cells. Eating probiotic rich foods helps our whole microbiome to be healthy and vital. 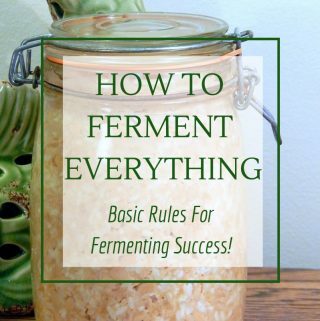 Making homemade fermented food actually changes the microbiome in our homes, which really helps our skin and in our lungs. Our microbiome is influenced by the microbiome of those around us. In fact close knit communities have their own unique microbiome. And if a member from one community joins another community with a different microbiome, then their microbiome changes to match those living around them. What we eat also greatly affects our microbiome. For example, someone on a paleo diet will have a fairly different microbiome from someone on a vegan diet. And making a change to your diet will rapidly affect your microbiome, which is why it is important to maintain a healthy microbiome diet. 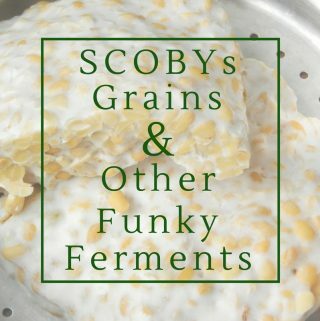 So is a probiotic rich diet worth the effort of homemade ferments? I certainly think so! The current thinking, he said, goes like this: Probiotics do not by themselves do much. After all, you are introducing a few million or billion bacteria into an environments with TRILLIONS of bacteria—a drop in the ocean. But, it turns out bacteria can discard and pick up DNA to suit their needs at the time. 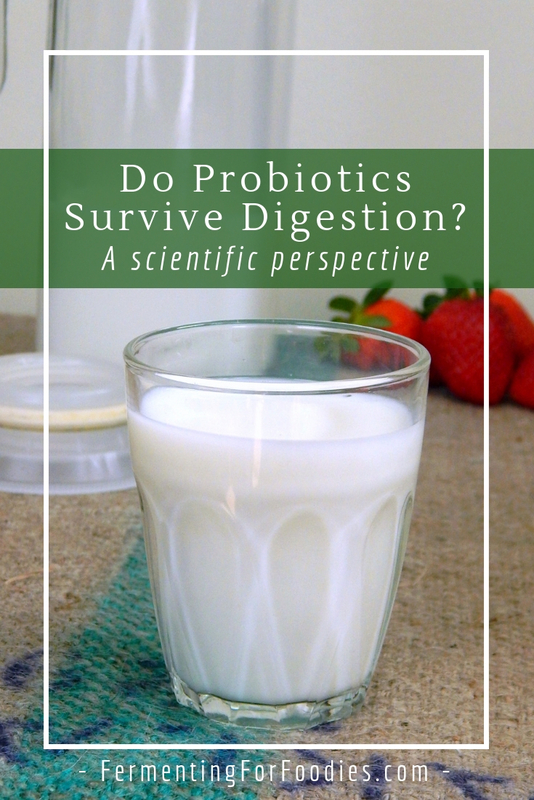 So probiotics may serve as a sort of toolkit, providing a source of novel or needed DNA to the gut biome etc. Interesting… I hadn’t heard that, nor read it. And I did do some research for this blog. 🙂 I definitely know that our bodies aren’t as straight forward as everyone would like them to be! Thanks for sharing. Well all this info is amazing. I’m a newbie to all of this process so thank you so much for your very informative books. Thanks! I’m an information junky, so it’s fun to share.